Big Red Car here in the ATX on a glorious day which should crack 80F, ahhh, on Earth as it is in Texas, y’all. So, the Big Red Car is freestyling today with a serious thought — it’s time to revive dueling as a means of alternative dispute resolution. There it is. Look at it. Touch it. Smell it. Taste it. Do it. The Big Red Car is tired of everyone yelling at each other. Ted Cruz objects to Donald Trump talking smack about his Heidi? Big Red Car here in the gently moist wonder that is the ATX. On Earth as it is in Texas. This is an odd year because of the impending Presidential election made all the weirder by the odd bunch of candidates that have been assembled and weeded through. One must say that the Republicans get high marks for the size of their field and the high energy (except, apparently, for Jeb Bush) of its robust, rodeo like selection process. “Rodeo like” meaning that not too many have been able to sit that bull and get the eight second whistle. The future of the US, in this interesting time, is in the hands of a 94-year old white socialist, a 70-year old white liar, a 69-year old white bombastic businessman, and another woefully unprepared low mileage white Senator whose real name is Rafael. He looks like a Rafael, doesn’t he? I think of them as Dopey, Sleazy, Braggy, and Creepy. If God is not a Tarheel, why is the sky Carolina Blue? So, there is much to be learned about the world of business by watching the NCAA Tournament. The Heels, with an unbelievable tradition of success, are a team which is stuffed with talent, well coached, exquisitely game planned, and capable of almost flawless execution. There are other teams just like them but there are not that many. So, Big Red Car, what can we learn from the Tarheels that is applicable to business? It is cloudy in the ATX and the Big Red Car does not like it. Some years ago, before oil went to where it is, there was much pocket protector discussion about the efficacy of solar power — freeeeeeeeeeeeeeee energy, whee! Lots of money got diverted from the real world to big projects. One of the biggest was in California. 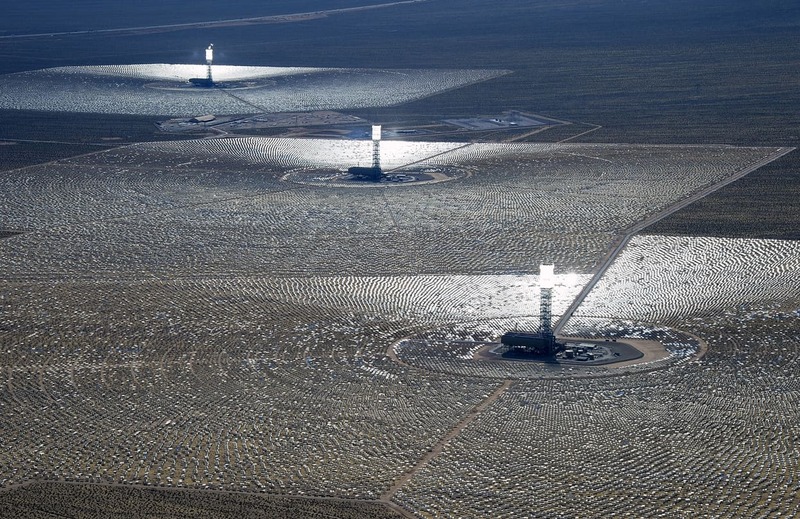 It was a massive project in the Mojave Desert by Ivanpah (the company who built it) which was funded by a $1,600,000,000, that’s $1.6 BILLION dollars, loan guaranty from the Obama administration. Look at this baby, wow! Small point — that’s YOUR money and YOUR government picking winners in the free market. Some find fault with such a thing. Big Red Car in the midst of SXSW — the cool folk just call it “South By”, y’all. Face it, you’re cool. Now this ATX brilliantly warm weather — 68F right now and headed to 85F, yes, that’s cool. So, there is a revolution going out there — the “people” are finally taking the “establishment” to task. It is, of course, Donald Trump’s fault which the media and the punditry and the “establishment” have all trumpeted thereby giving Donald Trump even more media coverage. Big Red Car here, getting tired of all things election but wanting to note one very interesting thing that happened last night. Sure, Trump won Michigan, Mississippi, and Hawaii — not that, y’all. That’s not the big story. The freakin’ big cable news outlets allowed Donald Trump to go “Free Range Trump” on a 45-minute infomercial on Trump the Candidate, Trump Meat (not quite the same thing as Trump the Candidate but close), Trump Water, Trump Wild Wings, Trump Toothpaste, Trump Condoms (XXXXL available), and Trump Wines. 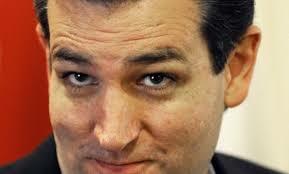 Ted Cruz, Outsider? Member GOPe? Big Red Car here while The Boss is skiing. Apparently, it’s even snowing in Steamboat. So while I have had some time on my hands, I’ve been studying this notion of folks being “outsiders” as that appears to be a desirable trait. Right alongside it is the notion that a person may or may not be a member of the GOPe — the Republican establishment. Then, there’s the issue of whether someone is a conservative and what is necessary to earn that title. I have to tell you it makes a Big Red Car tired to just try to figure it out — outsider, GOPe, conservative? Big Red Car here while The Boss is skiing again. I wonder if he is following the election? What do you think? So the Big Red Car is wondering something — what were the mottoes of the last few presidential candidates? Doesn’t matter. He won. The motto won and is enshrined in history forever. The Big Red Car recalls “Make America Great Again” but the big question is this: what are the other competing mottoes out there?